It guides visitors in learning about you from the internet. Good Web Site design creates an everlasting impression on the visitors. I also assist you with your hosting solution, domain name registration, social network, and Search Engine Optimization. I also can do any photography that is needed for your site at no additional cost. All this at a very affordable price. 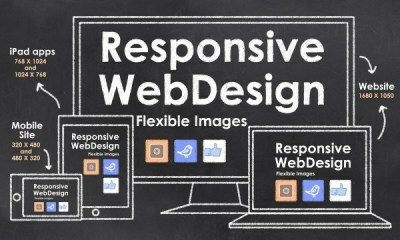 I can provide you with Responsive WebDesign, it will optimize your website to display on all devices, no matter what the resolution is. I will make the Hosting and Domain name very easy for you. I have a few hosting companies that I use that are very reliable and affordable. You can get your domain name at the same time you get your hosting. I will set it all up as part of your website at a once a year small fee. Do you need Social Media? YES! Facebook has over 1.1 Billion users. Twitter processes more than 500 million tweets per day. Need help with Social Media? Don't worry I can set up your sites and take care of it for you to keep you on track. I will also connect your website to your social media through buttons. Search Engine Optimization, the way to the top in listings to the search engines, S. E. O. is the process of improving your site’s ranking in search engines such as Google, Yahoo, or Bing through the use of page optimization, including title, meta and image tags and the content of each page. This will give you a great head start and greater visibility.